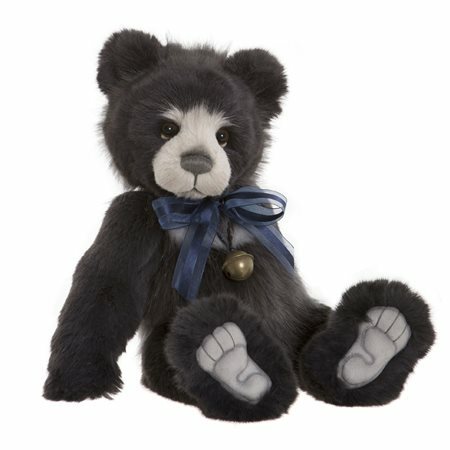 He is made from soft, blue/black plush fur, with a cream bib and muzzle. The sculpted and stitched pads are grey, so they stand out against the fur, making a great feature. The black eyes have some white felt backing, so you can see how adorable they are and he wears a blue satin and organza bow, with a bell pendant.